i tried dis recepie and it came out to be really good.must try! IT IS VERY DIFFERENT FROM D USUAL DAALS THAT WE EAT. boil the three daals in a good amount of water.add red chilli powder and turmeric. make sure that the water does not dry. when ready add coriander leaves and salt. fry garlic slices.add zeera , kari patta and red chillies till golden brown. 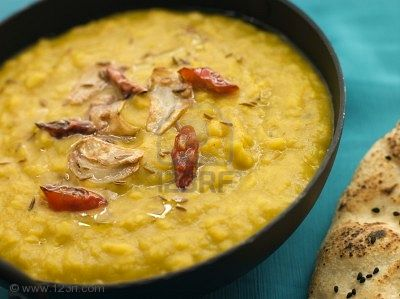 pour on daal.serve with rice or roti. is it nesscery to add termarind paste..?? i forgot to mention termarind(imli) paste dat is to be added into the daal before adding corriender.